Want to know the feelings of being a Zombie? Want to build your own zombie army and infect the whole world? This is the game you will need! How to infect more humans? * Infect as many humans as you can from anywhere on the map! * Destroy other zombie Army! * Lead your zombie army and show the world your horrible power! 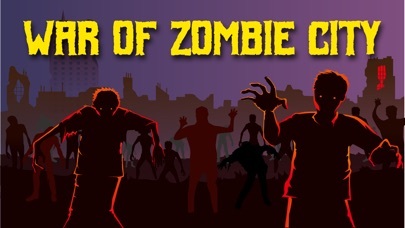 Features: * Utilize the latest "swarm algorithm" technology * Funny zombie movements, lots of zombies moving around with you * Smooth game experience! How to Play: - Fingers drag anywhere on the screen to control the direction of your Zombie Army. 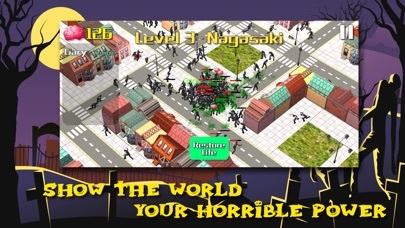 - Infect more humans to expand your zombie army. 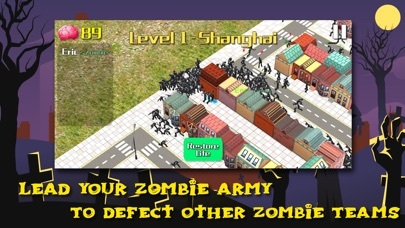 - Eliminate the enemy zombie team and collect more brains. 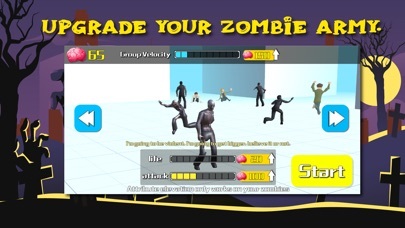 - Upgrade your zombies by the brains and make your zombies stronger.